It's hard to believe that January and February have passed us by and it's already the end of March! 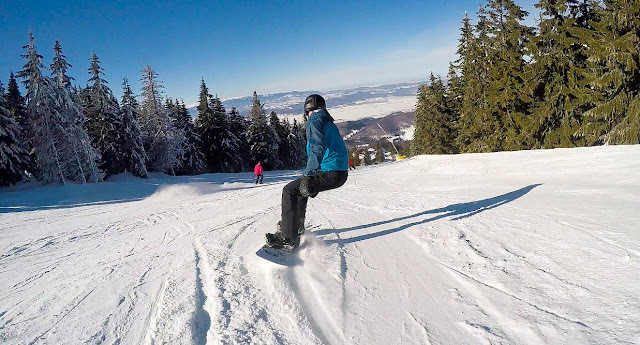 We have an update for you today all about the ski camps that happened at PdF this winter, as well as an update about the upcoming Spring Mission Bible School starting next week! We know it's been too long since we shared an update with you all - please know that we think about all of you often and regularly thank God for each of you, our supporters and our friends. If our updates are few and far between it's only because we're so busy doing God's work here in Romania. There have been so many weeks this winter where we have been overwhelmed with all the work needing to be done here and we've been falling into bed late at night completely exhausted, but also so thankful that God has us here in Romania doing His work. Jerry has spent the last several months working on what seems to be endless behind-the-scenes Bible School preparation. We had several students apply for the Bible School in November and December, so Jerry was busy communicating with students, reviewing applications, and contacting references. He also continued planning the program, communicating with and booking teachers from all over the world to come and speak at the school, preparing for his own week of teaching, and planning each week of the Bible School program in-depth - everything from meals to devotional times, to local outreach and outreach prep times, and of course the 3 big program challenges, the Outdoor Team Challenge, the Cultural Encounter Challenge, and the Mission Outreach Challenge. This year Jerry is solely responsible for planning and leading the Outdoor Team Challenge and the Mission Outreach Challenge, both of which require a ton of careful planning in advance and are a lot of responsibility for him to lead alone. There is so much that goes into planning this 11-week program and Jerry's to-do lists seem to be never-ending! Currently, there are 9 students who have applied and been accepted to the Spring Mission Bible School and a few more who will be attending for Taste-and-See weeks (students who attend parts of the program only). We are so excited about this, and so thankful for each and every student God has led to this program. Please continue to pray for God to prepare the hearts of the students who plan to come. Jerry also planned and led a Snowboard Instructors Training weekend for the PdF snowboard instructors in December. 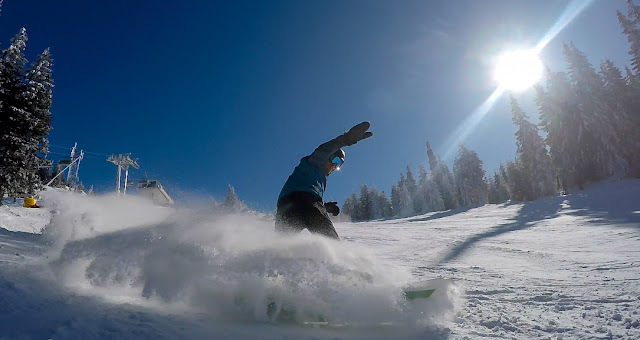 He taught and trained 4 new Snowboard Instructors to be able to teach beginning snowboarders, so many of this year's ski camps had 2 snowboard groups (Jerry teaches the intermediate and advanced groups and another trained volunteer instructor teaches the beginners). There were over 40 snowboarders at the Ski Camps this winter and Jerry instructed for 5 of the camps. This was exciting for Jerry to see the snowboarding program expanding here at PdF - almost all of the ski camps have been at maximum capacity, bringing up to 54 participants at a time. We're praising God for how He is blessing this ministry and we're excited to see how God will continue to expand the ministry of the ski camps here at PdF. In December, Chrissie had the opportunity to speak at the Women's Advent Event at Biserica Harvest Metanoia Brasov, our church in Brasov. It was a beautiful event for the women of the church to bring their friends and colleagues who aren't Christians, and it was a privilege for Chrissie to share the hope of Jesus with these women, many of whom come from challenging situations and lead difficult lives where their faith is challenged daily. She was also invited to speak at another women's event at a church in the city of Ploiesti at the beginning of March and enjoyed meeting the women there and sharing the hope of Jesus with them. Chrissie will also be leading the girls Prayer and Share group during the Bible School every Friday morning. This will be a place where the female students gather and share what God is doing in their lives and pray for one another. This will be a wonderful opportunity for Chrissie to build relationships with the female students and share wisdom from God's word with them, from the perspective of a missionary wife. This month marked the arrival of the volunteer RAs (Resident Assistants) for the Bible School. Andy (from Switzerland) and Marianna (from the Ukraine) will be spending the next several months at PdF working with Jerry to run the day-to-day activities of the Bible School, focusing on developing relationships with the students and providing one-on-one mentorship. They will also be helping Jerry prepare for the larger components of the program, like the Outdoor Challenge, the Mission Outreach Challenge, and the Cultural Encounter Challenge, and plan weekly group outreaches. Andy is very into the outdoors and mountain sports, so we're excited for what he will bring to the program. Marianna has been working with a ministry in another part of Romania for the last few years, so she will be helpful for the students and be able to provide some translation and help with the worship teams. 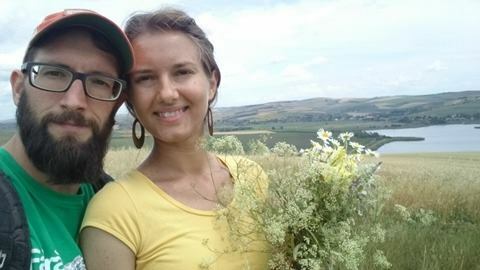 Please pray for Andy and Marianna as they prepare to come and serve here at PdF, and also for Marianna's health as she has some health and nutrition challenges because of her Lyme disease. We have started volunteering in the worship ministry at our church, Biserica Harvest Metanoia Brasov. 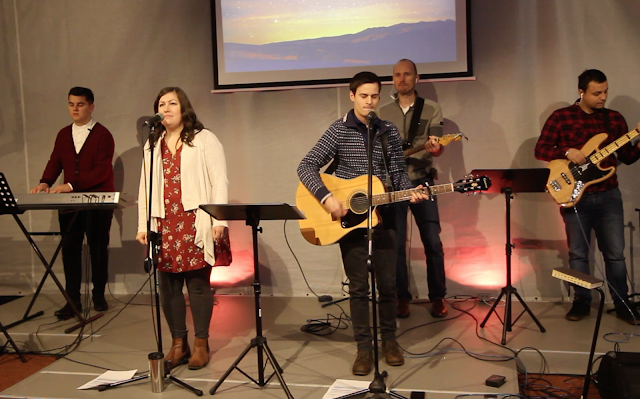 It is an added challenge for us, given the long drive to Brasov and the time commitment, but we are excited to be serving in this way whenever Jerry's PdF schedule allows, and we're excited about joining the worship team community at the church. 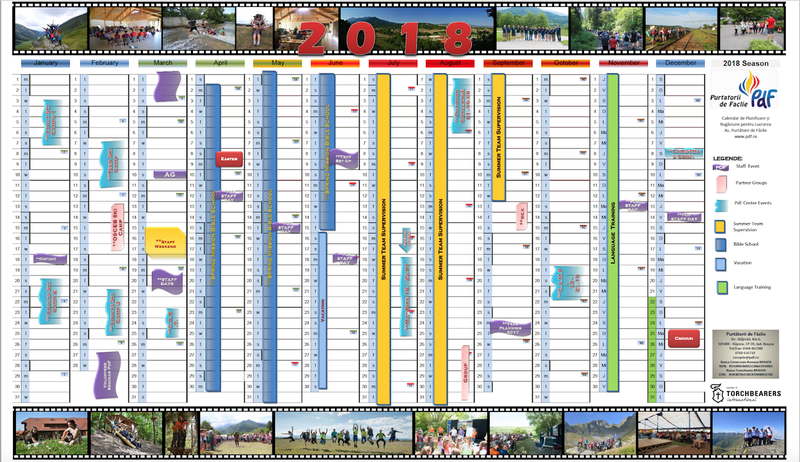 Lastly, we thought we'd include a copy of Jerry's Year-at-a-Glance schedule for you, so you're able to see what he's up to any time of the year. If you'd like to open or download it for easier viewing, CLICK HERE. Over the last few months it has finally begun to feel like we have hit our stride with life here in Romania. Of course we still face the daily challenges that come with living out of your home country, but those challenges are becoming easier (or maybe we're just getting used to them!?) as our command of the Romanian language gets better and we're learning more about how people do life here. December was an interesting month for us, ending with 3 of the 4 of us sick with mild coughs and colds. 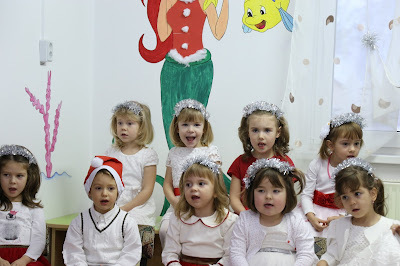 The girls managed to participate in their school's Christmas concert in December which was very fun, despite their colds. 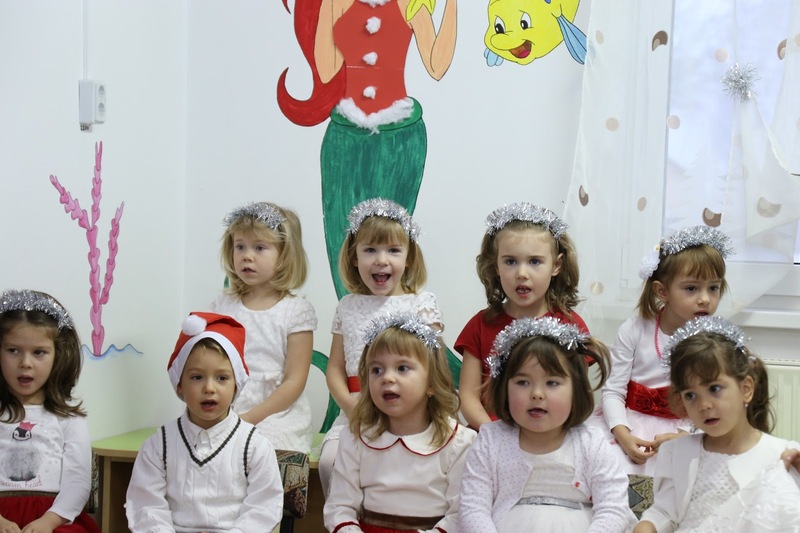 They sang Christmas songs in German and Romanian and we were, once again, surprised by how they were able to sing along with their peers despite the language barrier. 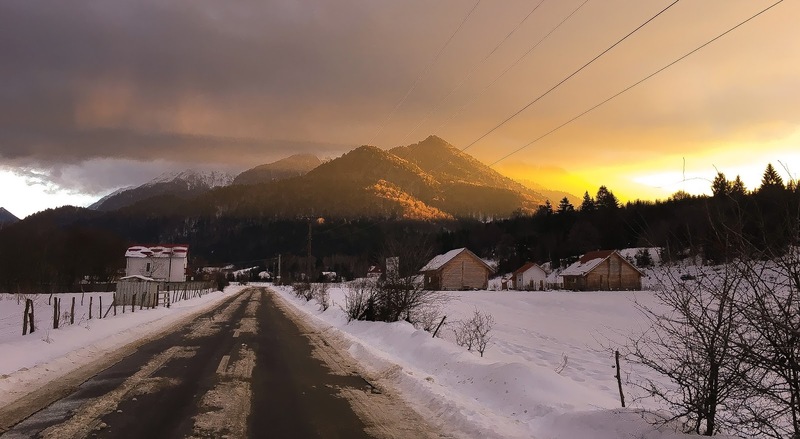 We made the decision to stay home for the Christmas holidays, instead of travelling to Rasa (in the south of Romania) to visit Reinhard and Darcey Neufeld and John and Doris Storey and help with their Christmas outreach ministry. 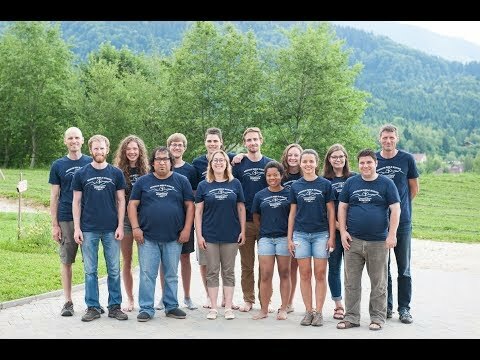 We went to Rasa as a family last year and it was an amazing experience for us, in addition to being able to spend Christmas with fellow Canadian missionaries here in Romania. But because of the cold virus that hit us in December we decided to stay home and have a quiet Christmas together, just the 4 of us, and focus on getting well and resting after a hectic fall season, knowing the New Year would once again bring many ministry challenges and we'd need our health to be in good shape. We felt the pull of the Holy Spirit toward rest and we're so thankful we obeyed. The week between Christmas and New Years was probably the most restful week we've had since leaving Canada more than a year and a half ago; we slept in, ate homemade blueberry pancakes, watched movies, went skating, went hiking, played games, and went on bike rides (since we had no snow until mid-January). It was a sweet, sweet time and we are so thankful for the time we had together, just the 4 of us, and we're thankful that this time of rest helped us stay pretty healthy for the rest of the winter season. Jerry was incredibly busy in January and February with ski camps and during this time Chrissie and the girls enjoyed their daily routine - the girls have continued attending the German/Romanian Kindergarten in Rașnov every morning which gives Chrissie time to take care of the household responsibilities, run errands, meet with other women for discipleship and prayer, and work on her food blog. She has also been establishing a relationship with a single mom from Rașnov who comes to our house once per week to help Chrissie with some housework while Chrissie cooks for their family. 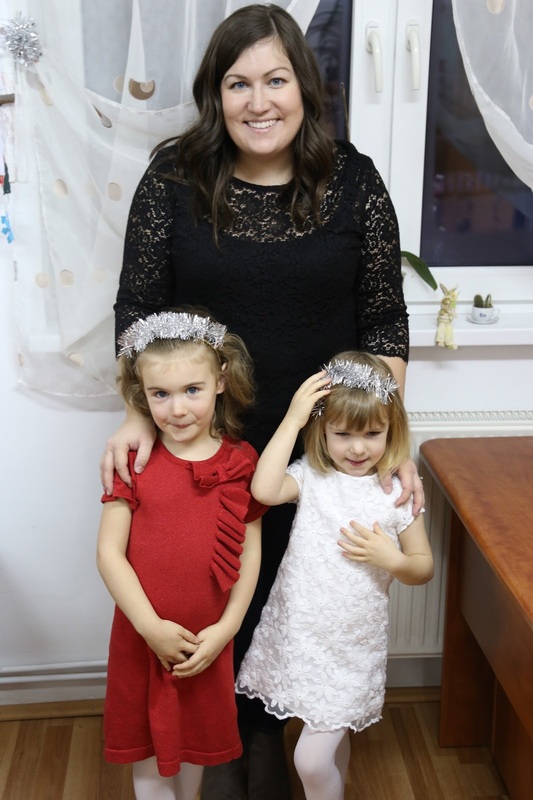 It serves as a great opportunity for Chrissie to practice speaking in Romanian each week and we're so glad to be able to help this woman support her 2 young daughters and provide healthy meals for their family when they're not able to buy food. We continue to be involved at Biserica Harvest Metanoia Brasov (Harvest Church in Brasov) and we've been attending a small group every Monday night since September. It's a huge challenge for us to attend small group regularly because of Jerry's ministry schedule, and because it's a long drive to Brasov and we don't often have a babysitter, but we're so thankful for the friendship we're developing with the other members of the small group and for how supportive they've been to us as we've gotten to know them. They've been very forgiving to us for our "caveman" Romanian skills as we try to participate in the meetings (all in the Romanian language), and we've experienced real, sacrificial love from these new friends and we're so thankful to know them and to be doing life alongside them. The theme of this ministry year at Harvest is 'Niciodata Singur' which means 'Never Alone', and this idea has become very meaningful to us in our situation as missionaries living here in Romania. We are the outsiders here, the ones who are different and strange, and this church has accepted us and welcomed us with open arms, helping us in times of need and coming alongside us in prayer and support of our ministry at PdF. Our relationships with the people of Biserica Harvest Metanoia Brasov have truly made us feel like we're never alone, and we're so thankful for this! Our German neighbours, Michi and Stefan Sailer, returned from their 4 month furlough in Germany after Christmas and it has been wonderful to have them back. Chrissie and Michi are great friends and their boys and our girls get along beautifully so the kids have also enjoyed having their friends back. Since the weather was so mild this winter we spent a lot of time playing outside, riding bikes, and playing in the snow (for the few weeks we had snow!). 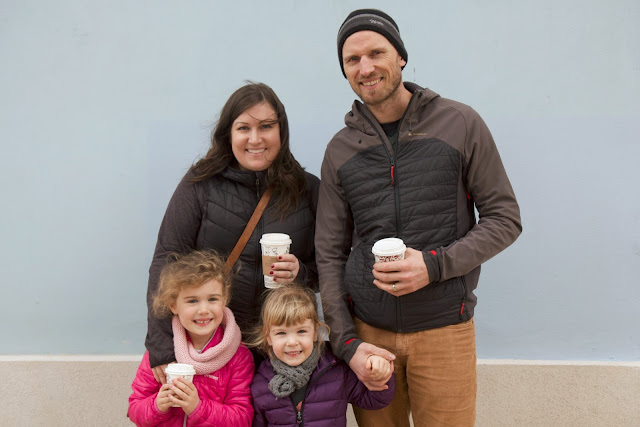 Every few months or so we set aside some family time, head into the old city of Brasov and walk the cobblestone streets, let the kids chase pigeons and grab a coffee. It's such a relaxing place to stroll around and experience the "European" culture here in Romania and we enjoy visiting the old city very much. We spend so much time far away from the city (PdF is 6km from the nearest town) and so it's nice to experience the city life again every now and then. Now that spring is here we're enjoying the warmer weather, going for lots of walks and bike rides, and jumping in puddles on rainy days. 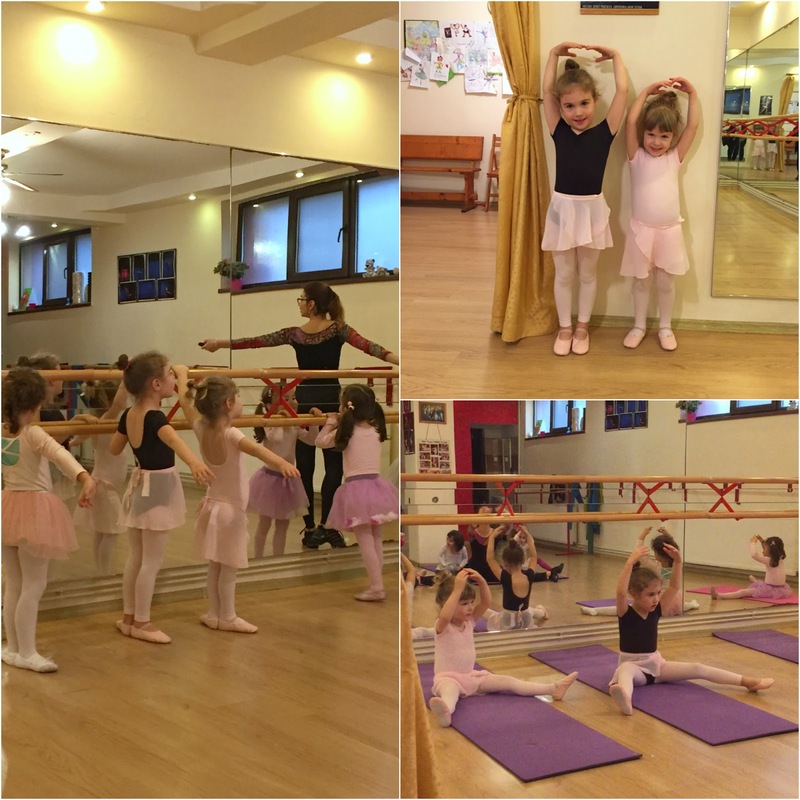 We've finally found a ballet class for the girls in Brasov with an excellent instructor, so they're enjoying being ballerinas again and doing something active while working on their language skills (the class is taught in Romanian). It's also a great opportunity for them to interact with other little girls their age. 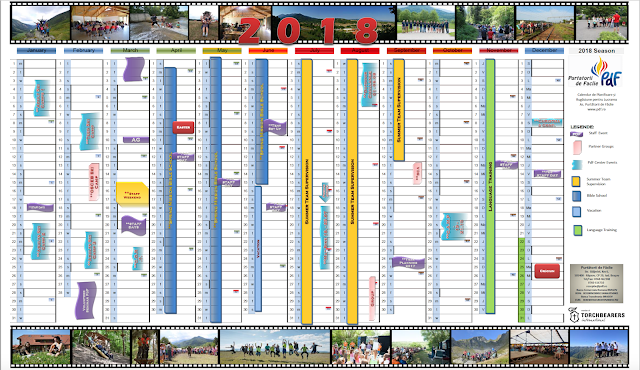 We are coming up on the end of our second year in Romania, which means a trip to Canada at the end of 2018 is in our sights. 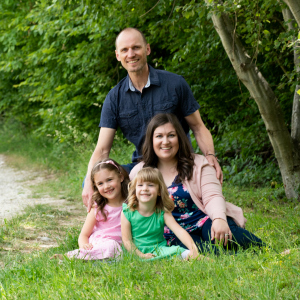 It's important for us to travel to Canada every few years to visit family, friends, and our church, and re-connect with our faithful ministry supporters. We're so thankful to have the opportunity to travel to Canada for this purpose, but we need to raise a significant amount of money to fund our trip (around $6000 CAD). If you feel led by God to help us fund this trip back to Canada, please click the link below to make a one-time donation. Also, our current Romanian Visas expire in November 2018 and so we will be responsible for renewing them before we return for our visit to Canada. The costs associated with this are approximately $1500 CAD. - That God would prepare the hearts of the Bible School students who will attend the Spring Mission Bible School this year. - For our continued health and safety for the Bible School season, for our family, the students and all the staff. - For Andy and Marianna, the Bible School RAs (Resident Assistants) who will serve at the Bible School this year; for high levels of energy and high capacity to serve the students attending Bible School. - For continued wisdom and patience for us as we navigate the Romanian culture and language on a daily basis. - For our Romanian language skills to continue developing quickly and that we'd have many more opportunities to grow our language skills. - That God would continue to equip our children with all the patience and skills they need to thrive at school and at play; that our children would continue to grow in their faith and love for Jesus. - For our children to sleep well at night so we all wake up rested in the morning and ready to do the work of the Lord with lots of energy!